Harriet wanted to create a dress ring in memory of her granddad who had recently passed away. She loved the scattered stone designs, along with a crushed diamond finish. 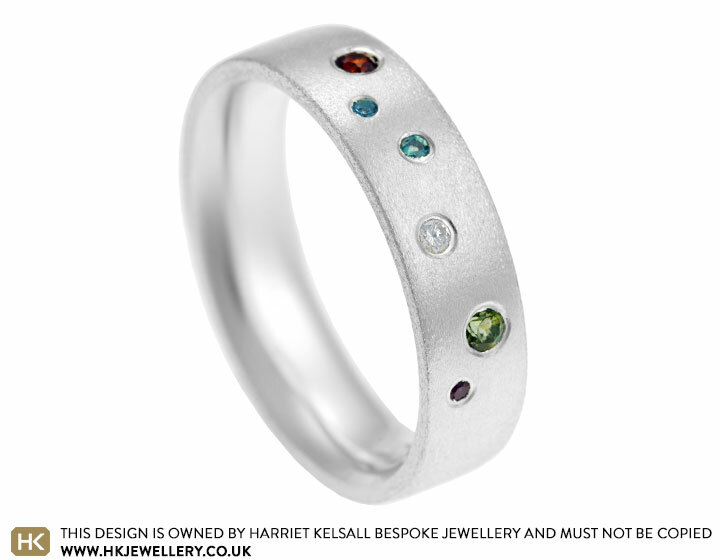 Together we designed a beautiful 5mm silver ring which held six birthstones each representing members of her family. This included a 2mm garnet, 1mm aquamarine, 1.2mm alexandrite, 1.5mm diamond, 2mm peridot and 1.2mm ruby. The random colouring along with the stone placement adds to the effect. 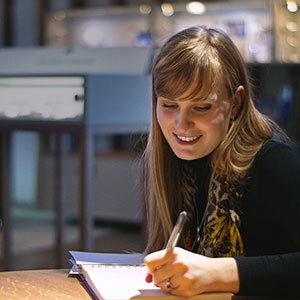 The flat profiling with an inner curve to add comfort meant Harriet could wear the ring everyday and it complemented her other pieces of jewellery.